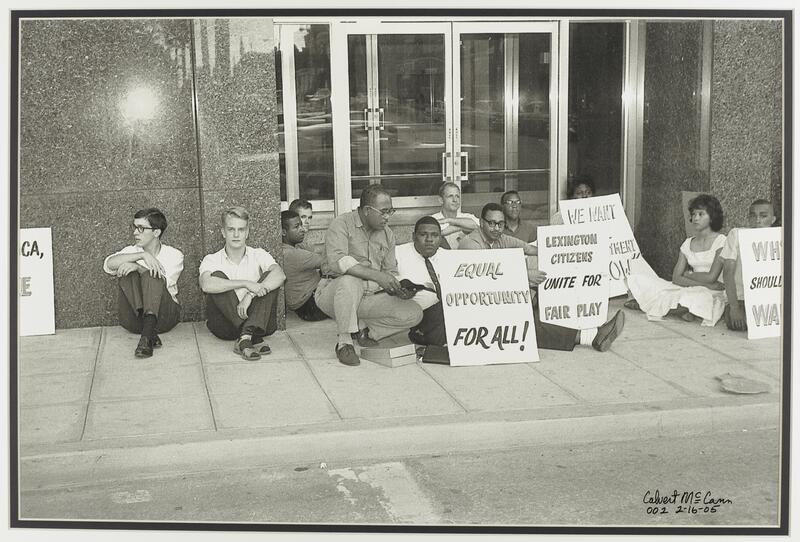 Civil rights -- Kentucky -- Lexington. 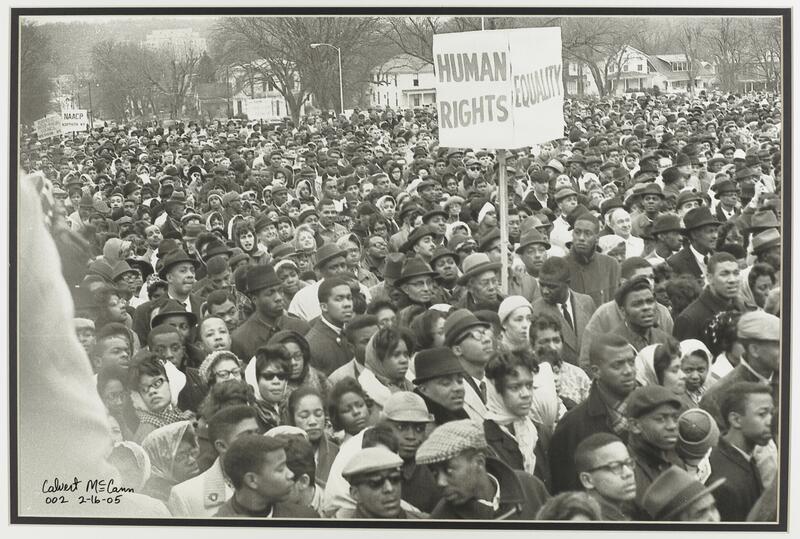 Collection preserves numbering by the Martin Luther King, Jr. Center. 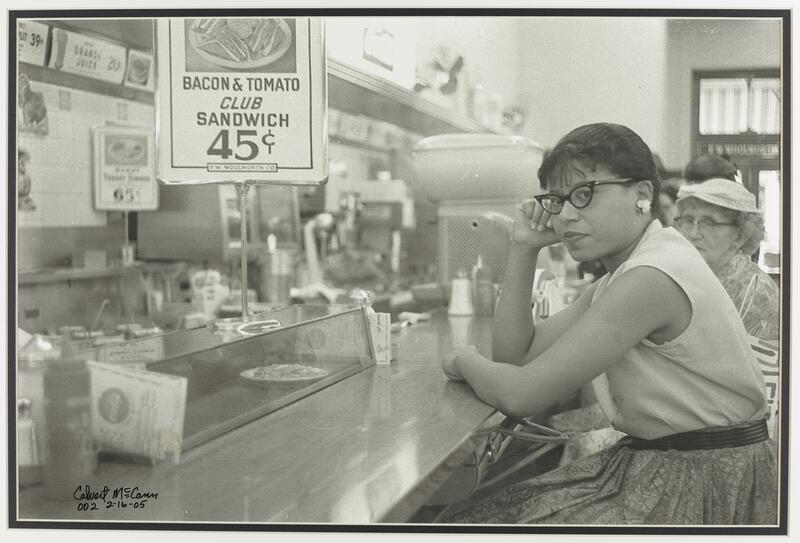 2015av010: [identification of item], Calvert McCann photographs, 1961-1964, University of Kentucky Special Collections Research Center. 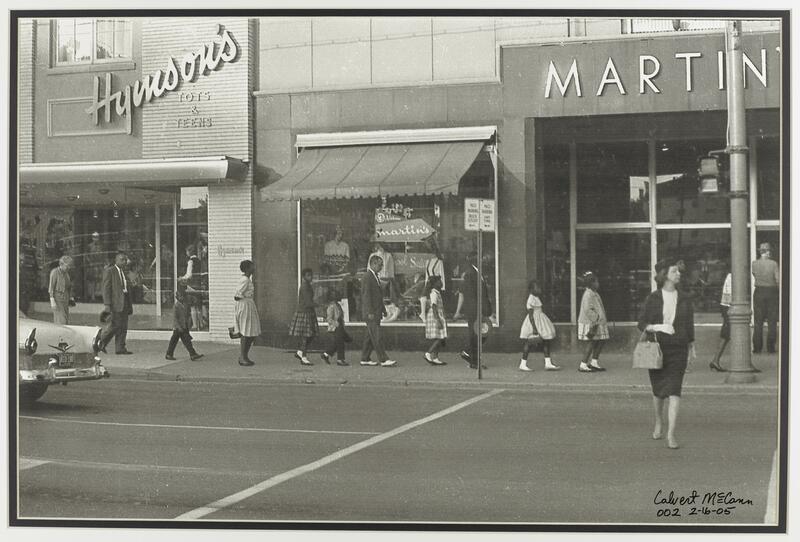 Additionally, McCann worked for the Peace Corp in Nigeria during the 1960s. 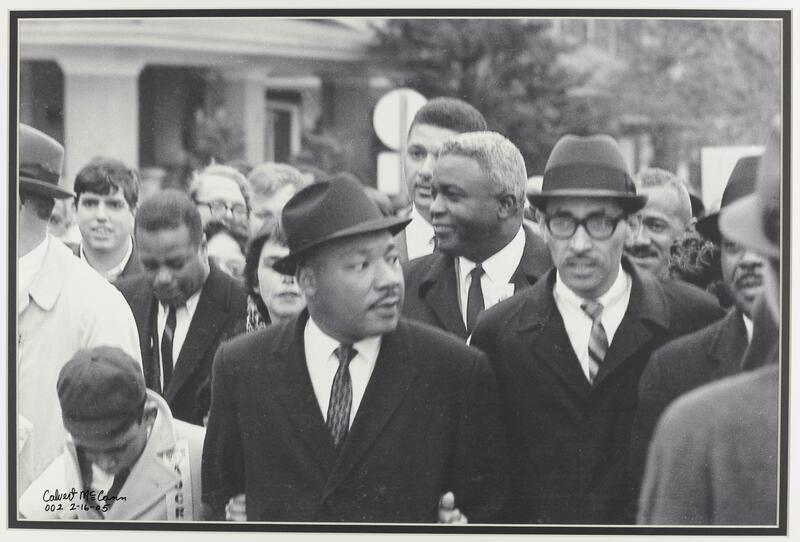 He attended many schools including the Tuskegee Institute, University of Kentucky, Kentucky State University, University of Texas at Austin, and the University of Wisconsin. 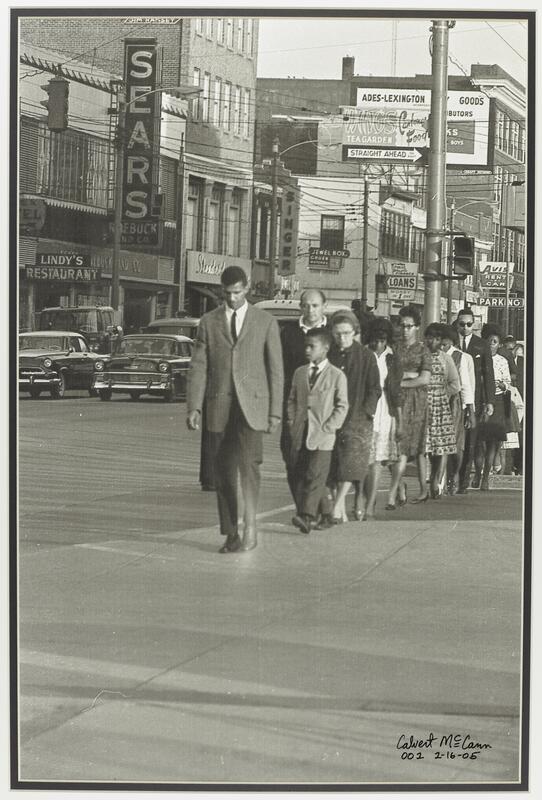 He worked as a social worker for the Lexington-Fayette Urban County Government. McCann died in Lexington, Kentucky, in 2014. 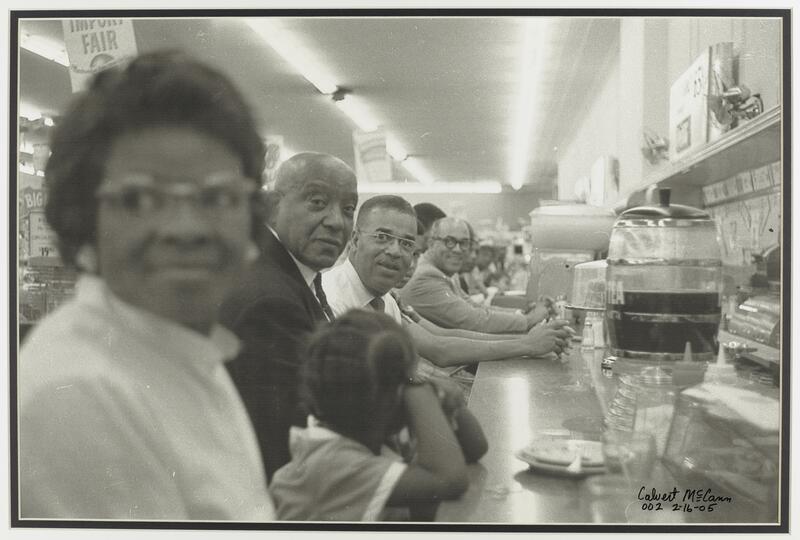 The Calvert McCann photographs (dated 1961-1964; 3.7 cubic feet; 7 boxes) consist of 20 black and white photographic prints depicting the Civil Rights Movement in Lexington and Frankfort, Kentucky. 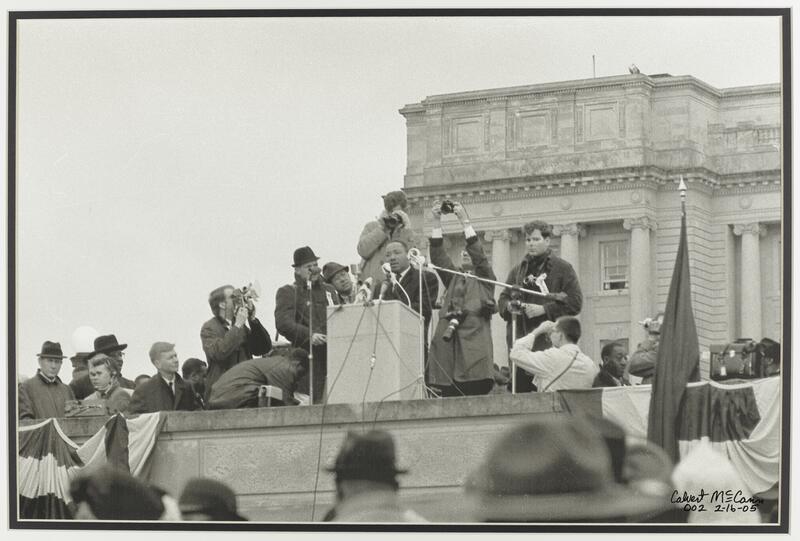 The photographs show sit-ins at lunch counters, demonstrations in downtown lexington, Louis Armstrong refusing to cross a picket line at the Phoenix Hotel, and the March on Frankfort led by Martin Luther King, Jr, Ralphy Abernathy, Wyatt Tee Walker, and Jackie Robinson. 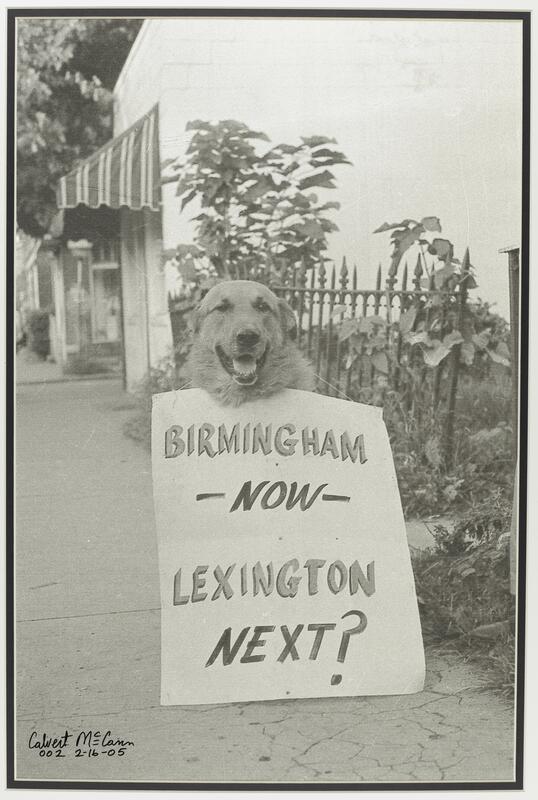 In 2004, Calvert McCann gave University of Kentucky faculty member Dr. Gerald L. Smith his undeveloped negatives from the 1960s. 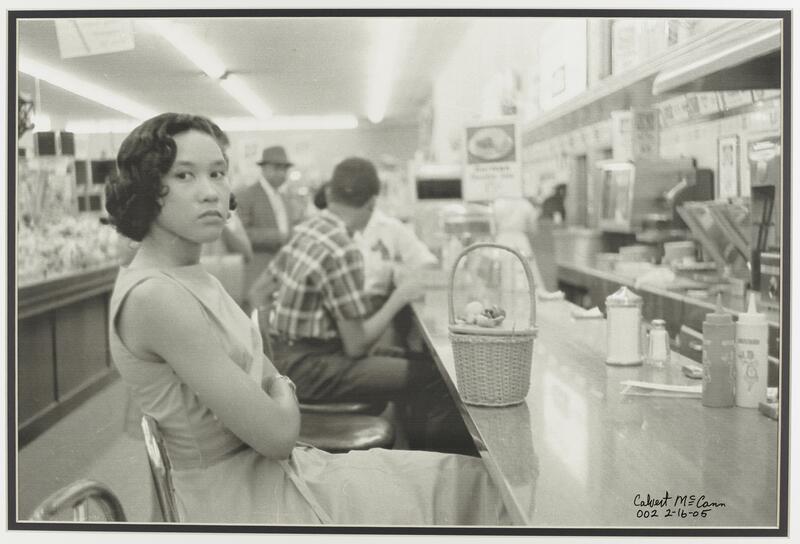 Smith used these images in his book Black America Series: Lexington, Kentucky. 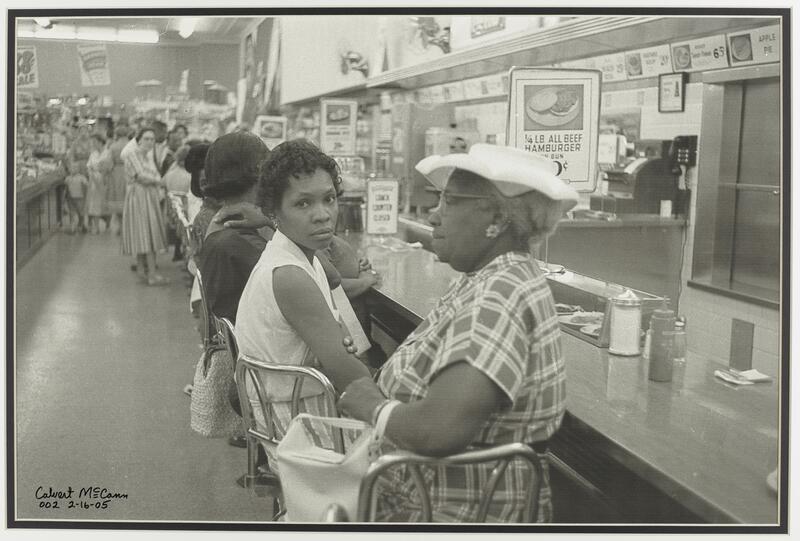 These particular prints originally hung in UK's Martin Luther King Center housed in the Student Center. 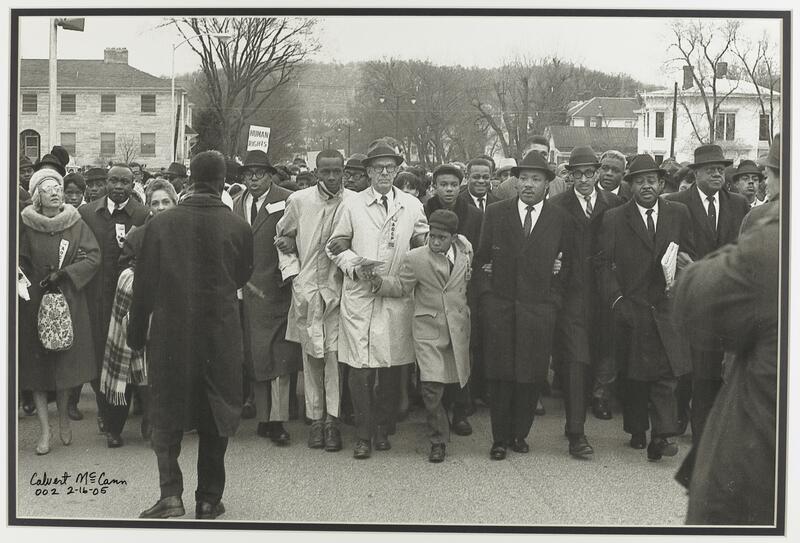 The photographs provide a glimpse into the Civil Rights Movement which was seldom covered by local newspapers and media. 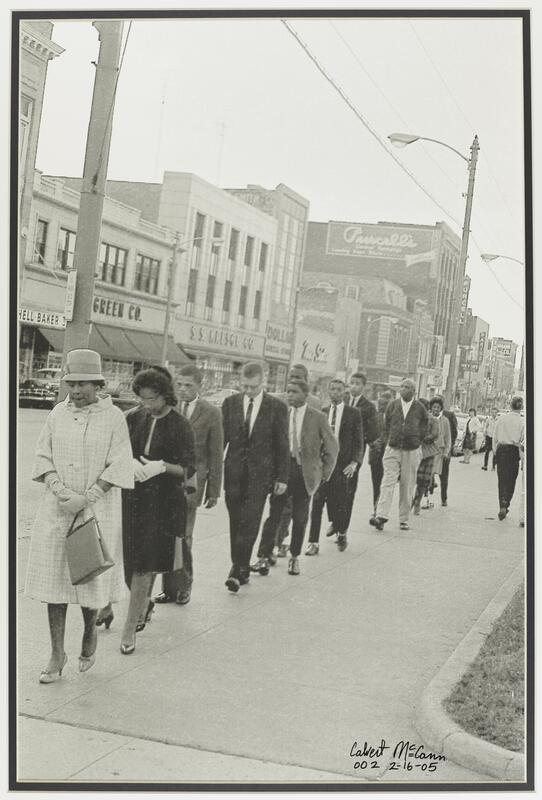 Many of the demonstrators were students from Dunbar High School on Upper Street. 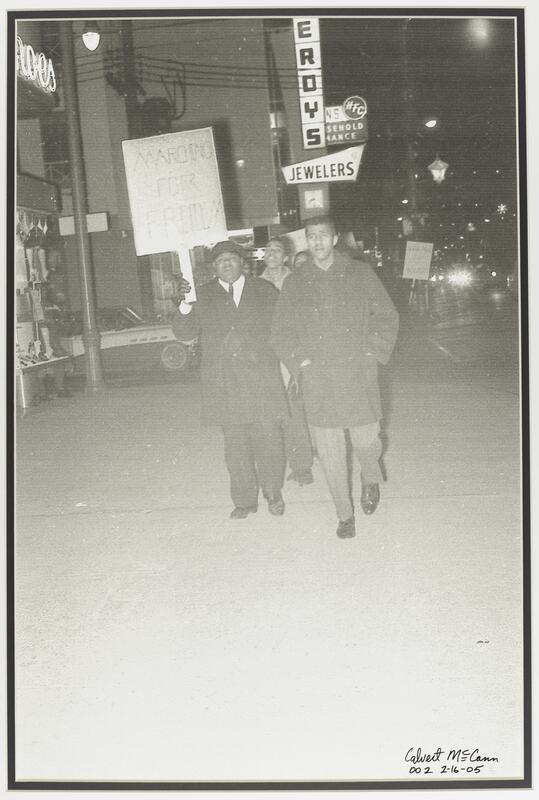 The Phoenix Hotel was targed by the CORE for its racist policis. Demonstrators tried to enter the hotel but were ousted from the premises. Among the demonstrators in front of the WVLK van are Reverend Jones and his wife. Rev. 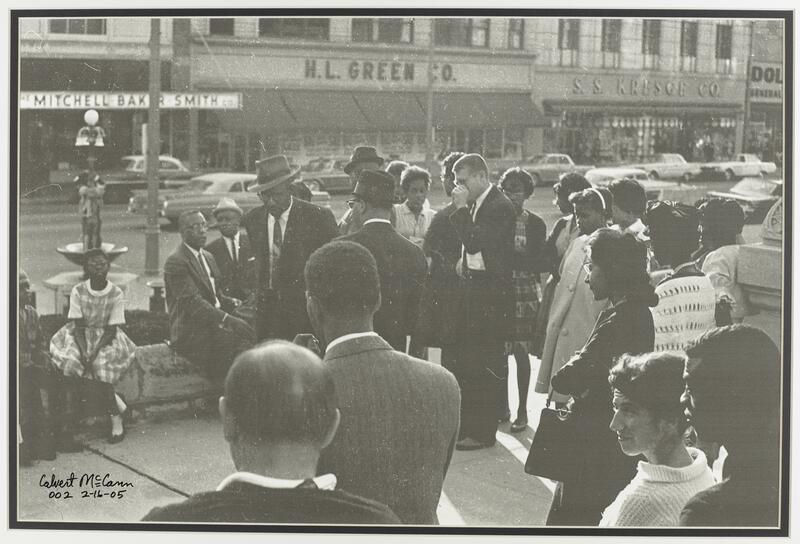 Jones' church, Pleasant Green Missionary Baptist Church, hosted most of CORE's rallies. 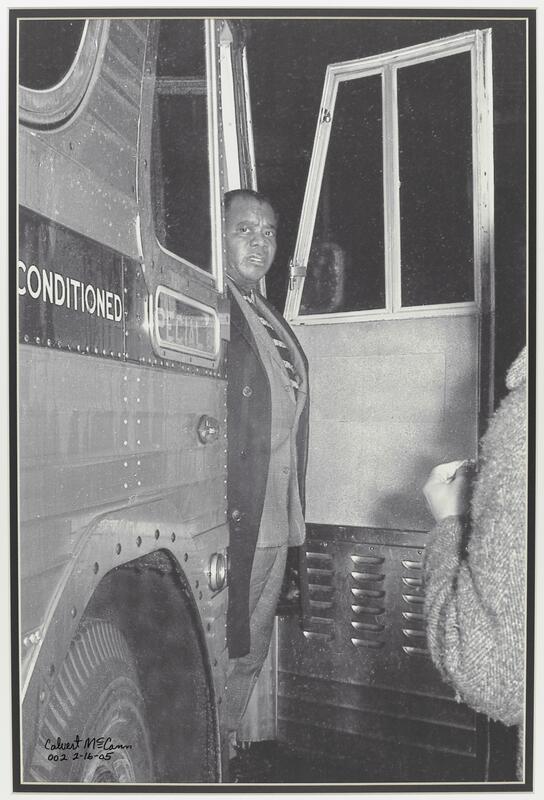 Pictured in the doorway of his tour bus, Louis Armstron came to Lexington to perform at the Phoenix Hotel in December 1961. 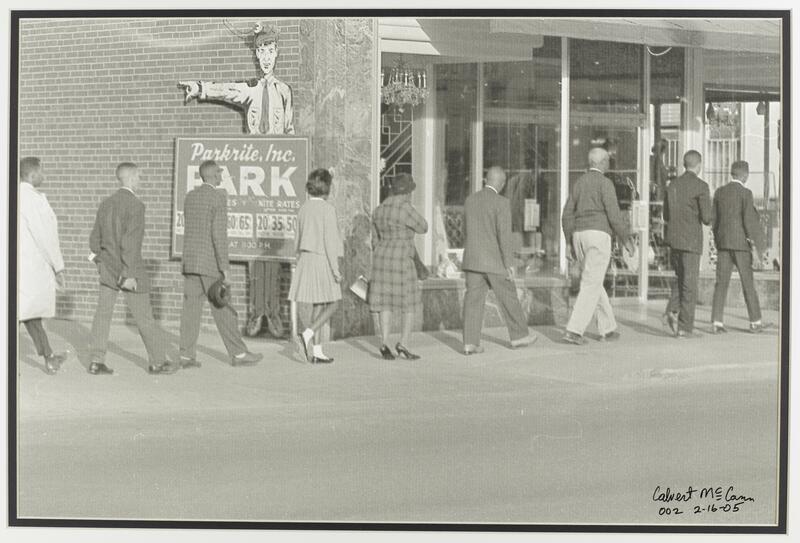 After arriving in Lexington, he discovered that the hotel barred blacks from entering. 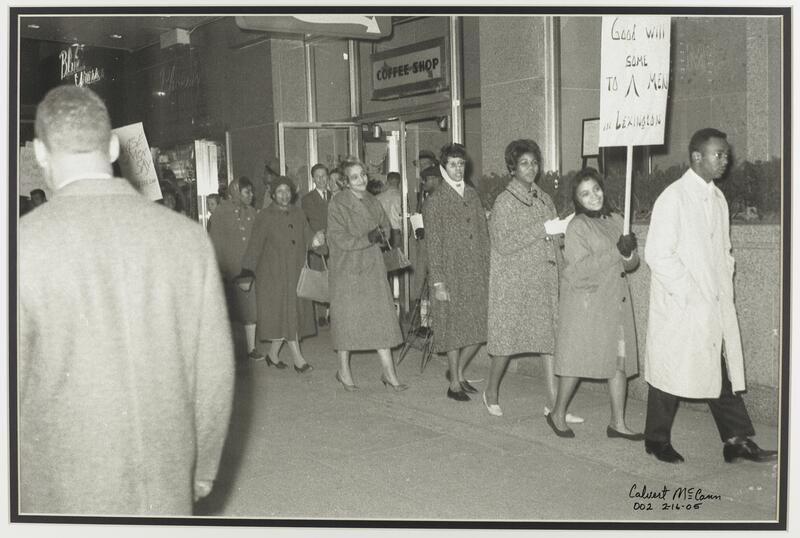 The Congress of Racial Equality (CORE) was demonstrating in front of the hotel. 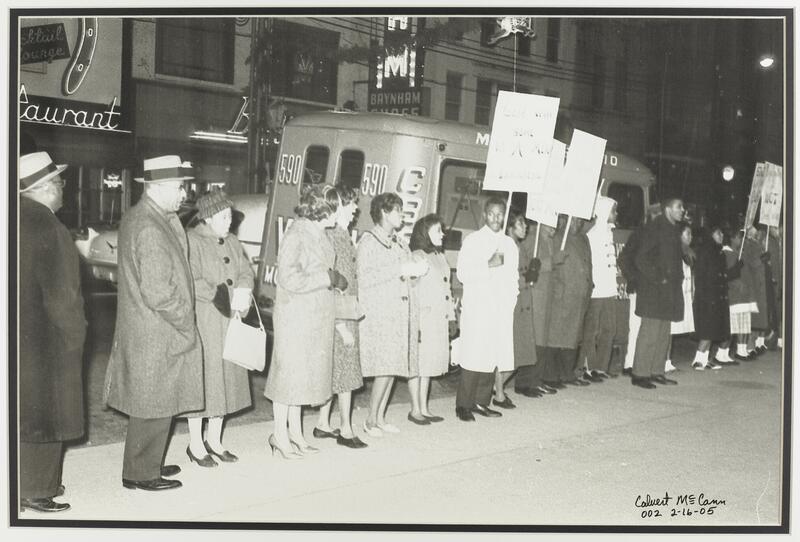 Armstrong did not want to cross the picket line but was afraid that he would be sued if he did not perform. Prayer vigils for justice were held in front of the Fayette County Courthouse on Main Street. They were usually held when Congress of Racial Equality (CORE) members were being tried for disorderly conduct for marching. 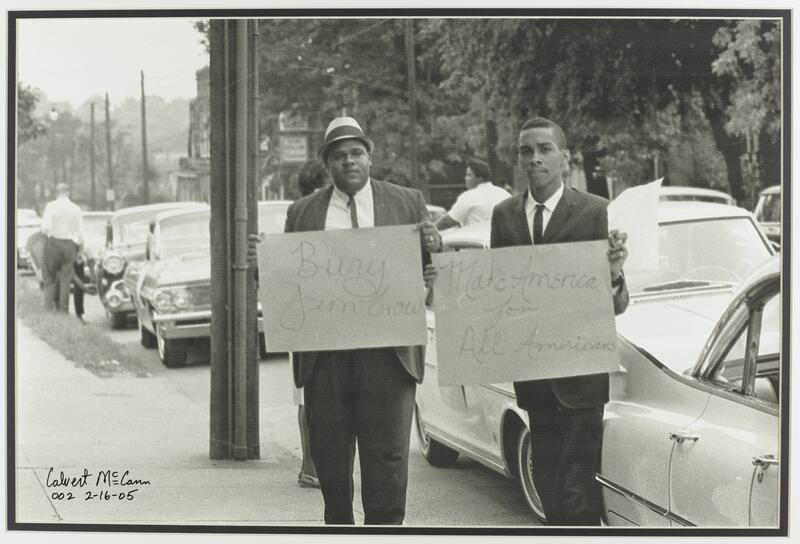 Violence in Birmingham, Alabama, in the summer of 1963 inspired the sign in this photograph.